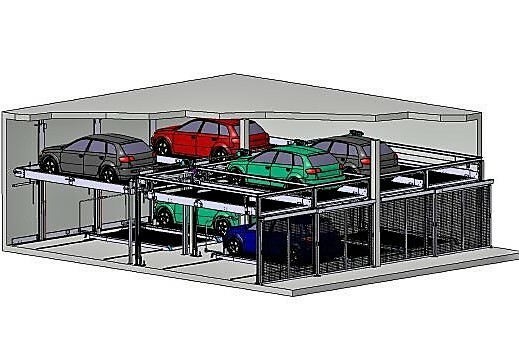 The Swiss-Park MAX 2M is a 4-column system which allows cars to pass through the system to access a system behind. 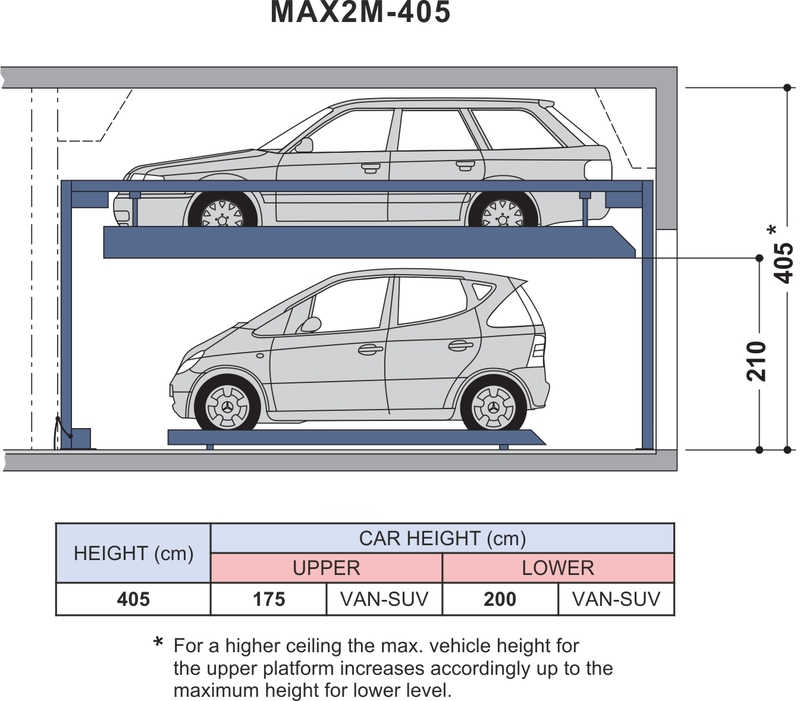 This allows the MAX 2M to be installed before a MAX 1, MAX 2 or MAX 3. Thus, an additional lane becomes available and the available parking space can be utilised. Depending on the combination, gates are necessary or optional. Operation is by remote control.